Bjorn: Well if you make a deal with Ivar, then you will have to kill me. Harald: I know. And if you do not want me to make a deal with Ivar, then maybe you will have to kill me, Bjorn Ironside. 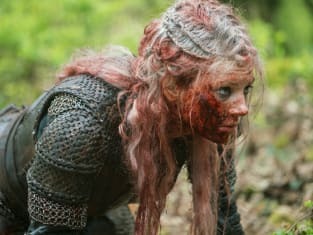 Vikings Season 5 Episode 19: "What Happens in the Cave"
Lagertha: Yes, I'm alive. As you can see, it is difficult to kill me. Permalink: Yes, I'm alive. As you can see, it is difficult to kill me.